For the Goat's Milk Caramel Enthusiast! This 8oz jar of handcrafted goat's milk caramel is for those of you who know that a 2oz jar is not enough! Our velvety goat's milk caramel sauces (cajeta) combine creamy caramel richness with the subtle tang of goat's milk to create an utterly unique, not-too-sweet dessert sauce perfectly paired with ice cream, fruit, and cheeses. 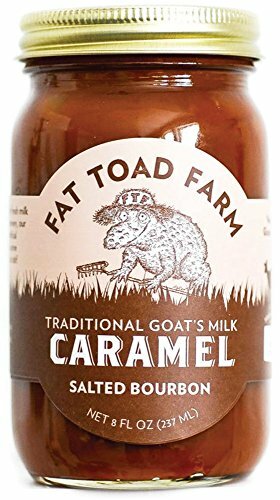 Fat Toad Farm Caramel Sauces are a verified gluten-free product with a 12 month shelf life. Jars should be refrigerated after opening.